For more beach health and safety resources scroll down. You won’t usually see green flags flying in Walton County due to the almost constant threat of rip currents. Yellow flags are almost universally flown in calm conditions. Speaking of counties: KNOW WHERE YOU ARE! 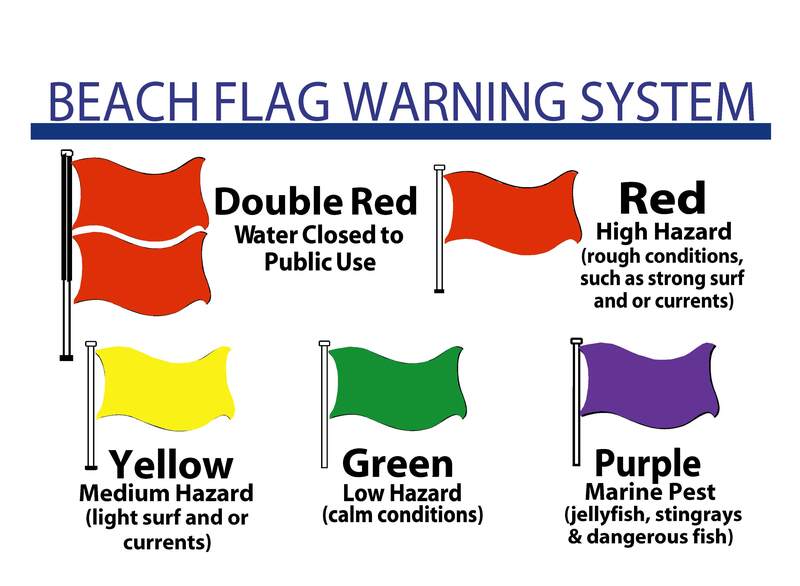 This is useful for safety, beach closures, weather alerts, and other beach-related alerts. I know the developers do their best to make it confusing so I will help. Everything from Miramar Beach east is Walton or Bay County. Sandestin is in Walton County. Everything west of Miramar Beach is Okaloosa County. More specifically: if you are west of Emerald Bay Drive (off Highway 98) or you have reached Captain Dave’s driving west on Scenic 98 you are in Destin in Okaloosa County. 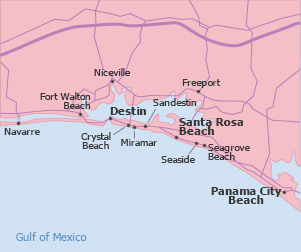 Please note that Destin and Santa Rosa Beach are municipalities (although Santa Rosa Beach is unincorporated). The beach-side communities listed in smaller font are mostly developments, not actual towns.